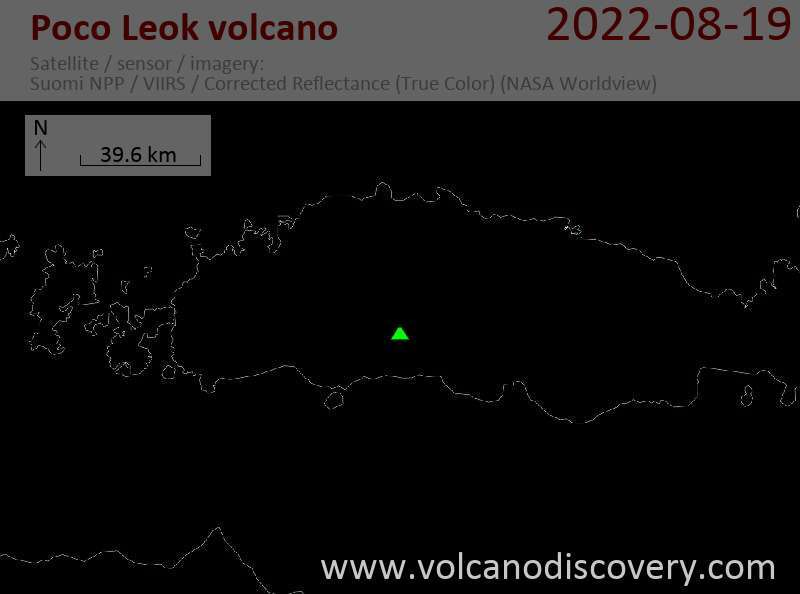 Poco Leok volcano is a statovolcano constructed what might be an irregularly shaped 7 km wide caldera in western Flores Island. The highest peaks on the caldera rim are Mt Lus (1675 m), Mt Sesat, Mt Mompong (1383 m), Mt Pitjong, and Mt Mangung (1379 m). It is believed that the Poco Leok and the caldera are still an active, although no historic eruptions are known. 4 active fumarole fields are found inside the caldera between 825 and 1200 m elevation. The Ulumbu geothermal field on the flank of Poco Leok at 650 m elevation includes hot springs, fumaroles, mud ponds and steam vents.